Rapid acquisition and interpretation of radiographs, portable ultrasound (US) and computed tomography (CT) are now the mainstay of initial successful management of sick and traumatized patients presenting to Accident and Emergency Departments. The ABC of Emergency Radiology is a simple and logical step-by-step guide on how to interpret radiographs, US and CT. It incorporates all the latest technological advances, including replacing plain radiographs with digital radiographs, changes in imaging protocols and the role of portable US and multidetector CT. With over 400 illustrations and annotated radiographs, this thoroughly revised third edition provides more images, new illustrations, and new chapters on emergency US and CT that reflect current practice. Each chapter starts with radiological anatomy, standard and then additional views, a systematic approach to interpretation (ABC approach) and followed by a review of common abnormalities. 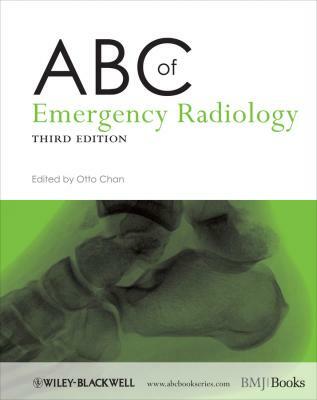 The ABC of Emergency Radiology is an invaluable resource for accident and emergency staff, trainee radiologists, medical students, nurses, radiographers and all medical personnel involved in the immediate care of trauma patients. This title is also available as a mobile App from MedHand Mobile Libraries. Buy it now from iTunes, Google Play or the MedHand Store.